Cisco WebEx allows staff to collaborate remotely with colleagues, meet online, conduct video interviews and record online meetings for future reference. If you choose to use WebEx, be ready to download it almost every time you want to have a meeting. It is super frustrating. This is why other software were invented to take the place of WebEx. There are 6 WebEx alternatives, which include ezTalks Cloud Meeting, Skype, Google Hangouts, Meeting Burner, Meetin.gs, TinyChat. The reason why ezTalks Cloud Meeting tops this list of WebEx competitors is that it boasts many collaborative tools to make communication easy. 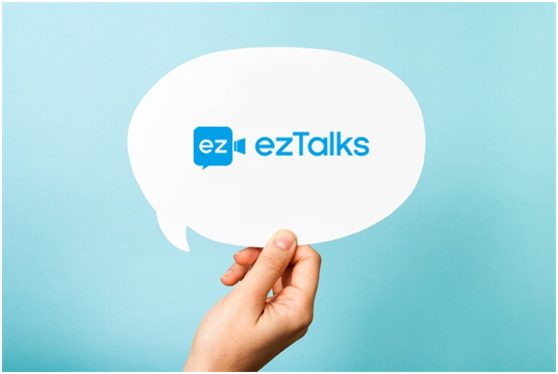 Whether you are looking to connect employees across the company or partner firms across the world, ezTalks Cloud Meeting has you covered. This versatile and cost-effective video conferencing software replicates the traditional face-to-face meeting thanks to its clear HD video and crystal-clear audio. It also has a sharing capability that’s inclusive of screen sharing and interactive sharing to bring remote collaboration to life. Moreover, it allows users to make meeting recordings for future reference. What sets ezTalks Cloud Meeting apart from other platforms is the fact that it can accommodate up to five hundred participants. It is the market leader in Internet calls and group video call apps, since it has excellent audio and video quality. Also, video calls are free and support almost all devices and operating systems: Windows, Windows 8, Windows Phone, Android, Mac, iPhone, iPad, Kindle Fire, Smart TV, etc. It also allows you to send files of any type, call landlines and mobiles and activate from Outlook. It has numerous advantages since it is powered by all the tools and applications of Google. It has great speed, stability, powerful servers and can run on almost any platform. It allows multiple and free videoconferences with up to twelve users at the same time. In addition, you can work collaboratively with Google Docs, you can share the screen, files and notes, and also chat simultaneously. This is a videoconferencing service that offers the possibility to record audio, share the screen and allows a simultaneous connection with up to ten users. In addition, it can run in any device’s browser and has a statistics system to check participants’ activity. It is a meeting management tool by video conference that uses the Skype engine for video transmission. It also allows you to create events in the calendar to call participants to the meeting, edit documents, share notes and files, manage schedules, etc. In addition, it seamlessly integrates with Dropbox, calendar services and social networks, and is available for both iOS and Android. This tool acts as a video chat room, although the really important and differentiating aspect is that it allows integration with Facebook, Twitter and Tumblr social networks, which is perfect for interacting with the followers of our brand. In addition, up to twelve people can participate simultaneously, while chatting.